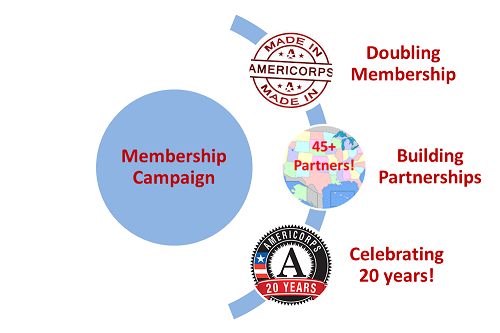 We launched our Membership Campaign this week as part of our celebration of AmeriCorps’ 20th Anniversary and are thankful to the 45+ state commissions and organizations partnering with us! A critical part of our 20th anniversary activities is ensuring that all currently serving AmeriCorps members and alumni know how—and why—to join our network. Alums can register with us (for FREE!) today. If your organization leads in the public service sector thanks to contributions from AmeriCorps, join the Membership Campaign by emailing membership@americorpsalums.org. We provide all the resources you need to talk about AmeriCorps Alums membership with your alum in our Membership Campaign Guide for Partner Organizations. 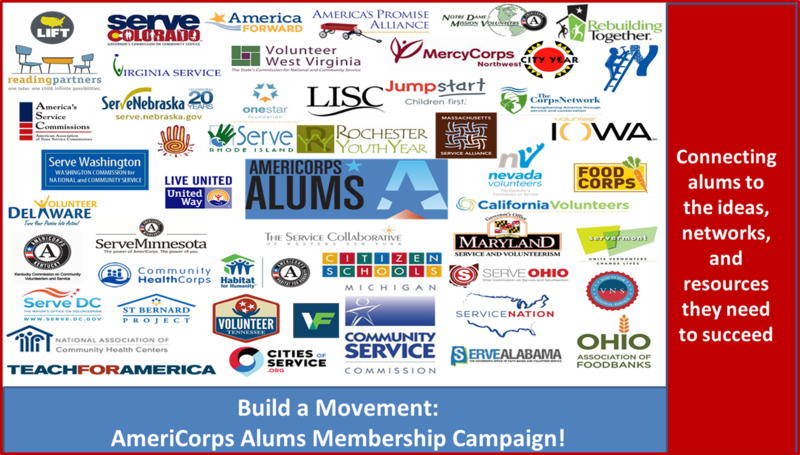 With your help, we aim to double membership in AmeriCorps Alums in 2014, so that more Corps members and alums will have what they need to grow as civic leaders, for life.